It’s a common challenge for long-range truckers: Where to park to get their required hours of rest. 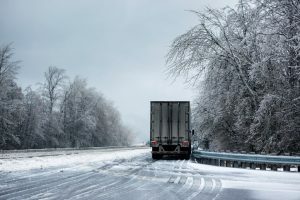 Truck-stop spaces can be few and far between, highway shoulders are dangerous and not always legal for overnight parking, and truckers say they end up spending some of their driving time just looking for parking spaces. New data-based research aims to alleviate some of those challenges. Sarah Hernandez, assistant professor of civil engineering at the University of Arkansas, is part of a new study using intelligent transportation systems (ITS) to detect and characterize truck parking and ultimately, perhaps make it easier and safer for truckers to rest between driving hours. She’s been studying truck data for two years already. The American Transportation Research Institute’s own research says truckers spend an average of 56 minutes of allotted driving time unnecessarily parked because they pulled off the road early just to get a parking space. That equates to a lost 9,300 miles per year and lost wages of $4,600 per driver. The Federal Highway Administration says it will launch its own study–a national commercial parking survey–later this year to further look at these issues.